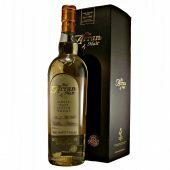 Arran Whisky Distillery is a Island region malt whisky located on the Isle of Arran off the Ayrshire coast. 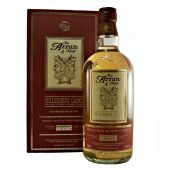 The Arran (ar-ran) single Malt Whisky is soft creamy in style. However it produces some cask finishes for a richer fruity whisky. 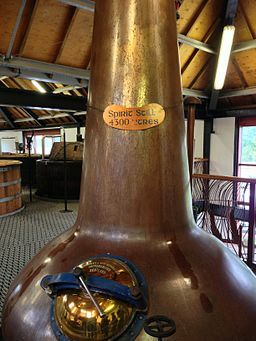 The distillery produces limited editions and there is a range of discontinued whiskies available. The Isle of Arran, one of the most beautiful and famous in Scotland and lies off the West Coast between Ayrshire and Kintyre. Arran is a unique island known as ‘Scotland in Miniature’, for it has all of the scenery of Scotland, with mountains and lowlands, glens, lochs and royal castles (including one at Lochranza). Early in the 19th century there were more than 50 whisky distilleries on Arran, most of them illegal and carefully hidden from the eyes of the taxmen. The malt was acclaimed at the time as the best in Scotland, only rivalled by those from the ‘Glen of Livet’. 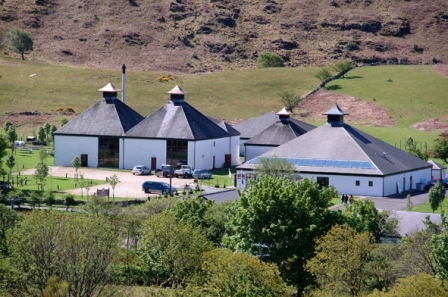 Based at Lochranza the new distillery was founded in 1995 by Harold Currie, who was previously Managing Director of Chivas (Seagrams) and House of Campbell (Pernod Ricard). Using only the traditional methods of distilling, with wooden washbacks and copper stills designed to their exact specification. The location offers perfect water for whisky production, cleansed by granite and softened by peat as it comes down from the mountain above. The atmosphere of sea breezes and clear mountain air together with the warm flow of the Gulf Stream matures the Arran Malt to perfection in earth-floored warehouse. 17th August 1995 production is commenced. 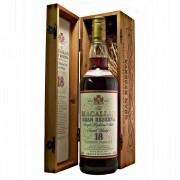 The first whisky is released, a 3 year old in 1998. Followed in 1999 with a 4 year old. Cognac, Marsala and Port finishes, Vintage 1995 in 2004. Then Vintage 1996, Margaux and Grand Cru Champagne in 2005. 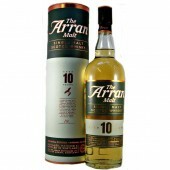 Arran 10 year old whisky is first released in 2006 plus two more wood finishes. Followed up with “Gordon’s Drams” plus four more wood finishes in 2007. A further four more wood finishes plus the first 12 year old in 2008. 2009 saw another 1996 vintage, peated single casks and two more wood finishes. The distillery marks 2010 with a 14 year old, Rowan tree, three more wood finishes and the first of the named peated malt whiskies Machrie Moor are released. Limited editions; The Westie, Sleeping Warrior and a cask strength 12 year old in 2011. The Eagle and the first of the Devils Punch Bowl during 2012. A year later a 16 year old and Machrie Moor are released. Another Machrie Moor this time at cask strength plus a 17 year old in 2014. 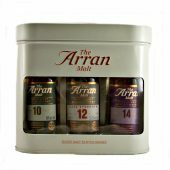 Arran 18 year old and Illicit still series start in 2015. The Bothy Quarter Cask limited edition is added in 2016. At some point the Arran Founders Reserve was made available to the original investors in the Arran Distillery. 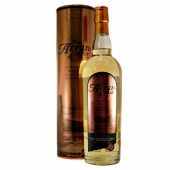 The Arran whisky distillery also produces a No Age Statement Arran Original and the Arran Gold Whisky Liqueur. Founded in 1995 by Harold Currie. Location; Isle of Arran, Region Lochranza. Water Source; Loch na Davie. 2.5 ton Stainless Steel Semi Lauter Mash Tun. 4 Oregon Pine Washbacks, Fermentation time of 60 hours. 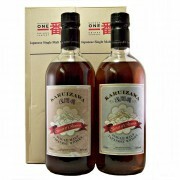 Matured in a mix of American oak bourbon and European oak, cognac, rum, sherry and wine casks. 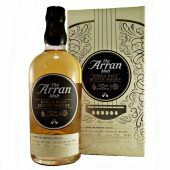 The Arran whisky distillery house style is a soft creamy malt whisky. 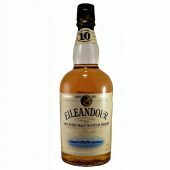 However it uses a wide range of cask finishes for a richer fruity whisky. 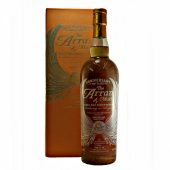 The Arran distillery releases limited editions and as the distillery has evolved over the last twenty years there is a range of discontinued whiskies available. The Arran whisky distillery visitors centre is well worth a visit and regularly run guided tours of the distillery throughout the course of the day. A number of the tours include tasting sessions where you can sample some of the drams they have to offer.